I've loved Nutmeg kids clothes ever since they launched back in 2013. Out of all the supermarket clothing brands, their range is by far the best; every season they release incredible collections, the quality of their products are far superior to their competitors and their prices are unbeatable. Something else I love about their clothes is their thoughtful details; no itchy labels, easy to fasten buttons, zips and poppers, and super soft fabrics. 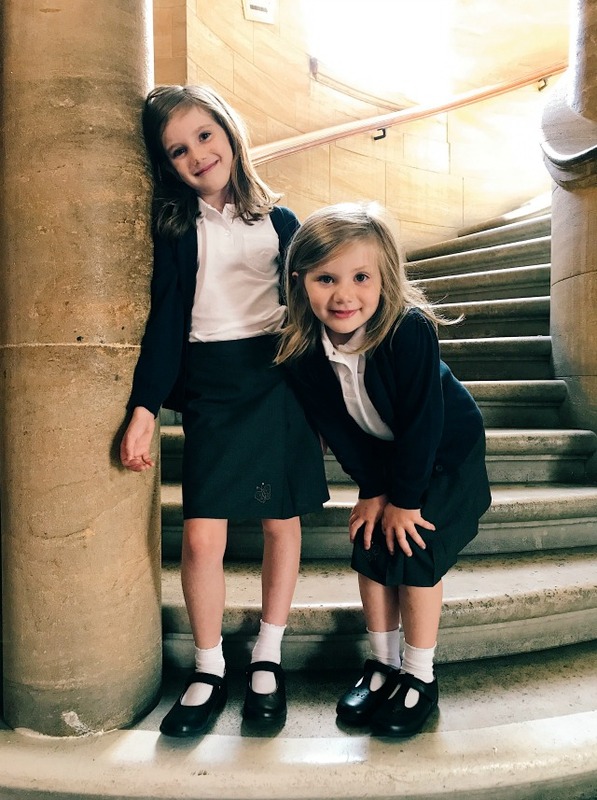 Of course their thoughtful details extend to their school range and also include teflon coating, bobble resistant fabric and adjustable waistbands so that skirts and trousers will last the whole school year. 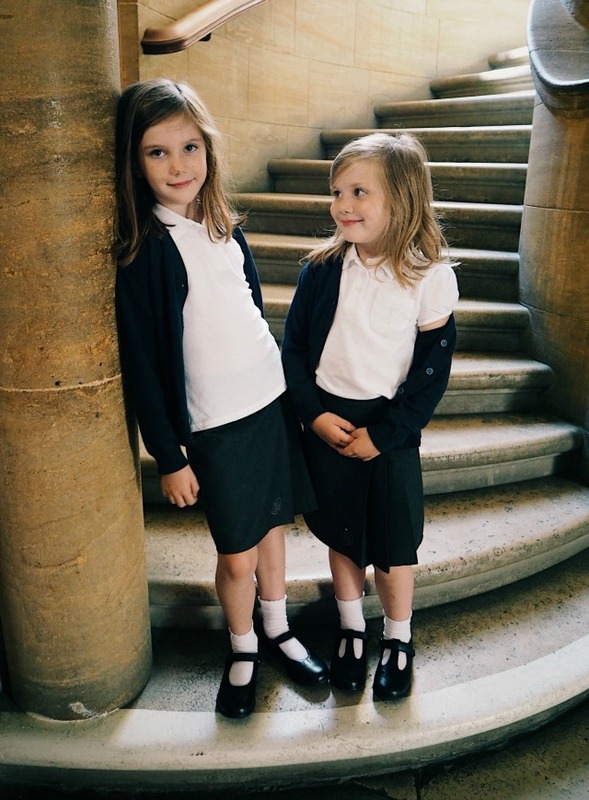 As with all their clothes, their back to school range has a 200 day no quibble guarantee - which covers rips, spillages and outgrown pieces - to assure parents of their quality and durability. These clothes really will survive the wear and tear of the playground! 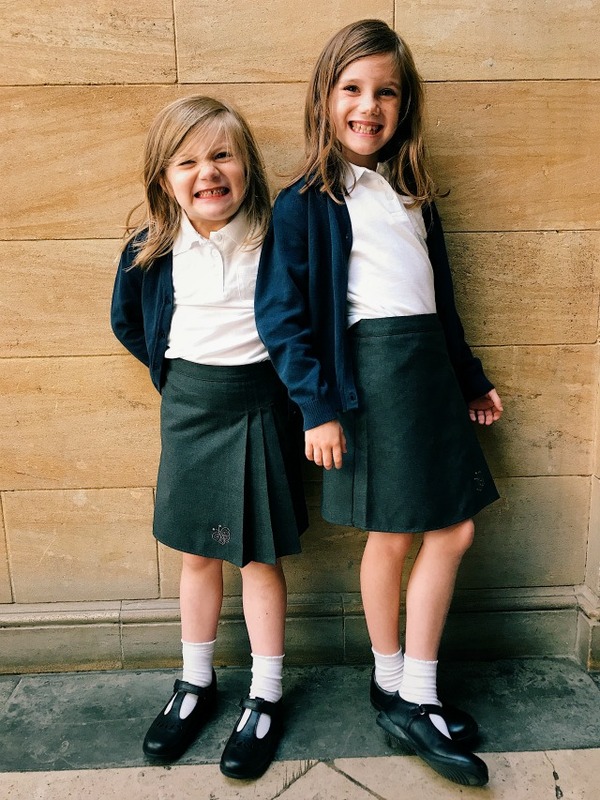 After gushing about just how great they are, it goes without saying that I was pretty darn happy when they sent the girls some school wear for the new term. 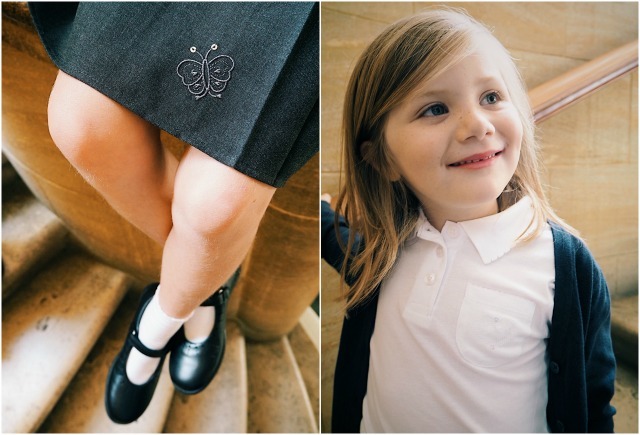 Their polo shirts have little puffball sleeves, pretty scalloped collars and heart shaped buttons and are just £4 for two, and their pleated skirts with sequinned butterfly detail are just £4 each! The girls are supposed to wear cardigans with their school logo on them but I always buy some cheaper plain ones for when they inevitably go missing. The nutmeg cardigans are £4 (and sweatshirts £3). The most expensive item in the collection is the pinafore at £5! I can't believe Daisy goes back to school next week - and that Evie starts reception the week after! How am I old enough to have two kids at school? !